August 22, 2016 --- At ADIPEC 2016 Intertec is exhibiting an innovative approach to housing remote instrumentation and communications equipment in harsh environments, in the form of a passively cooled walk-in shelter. 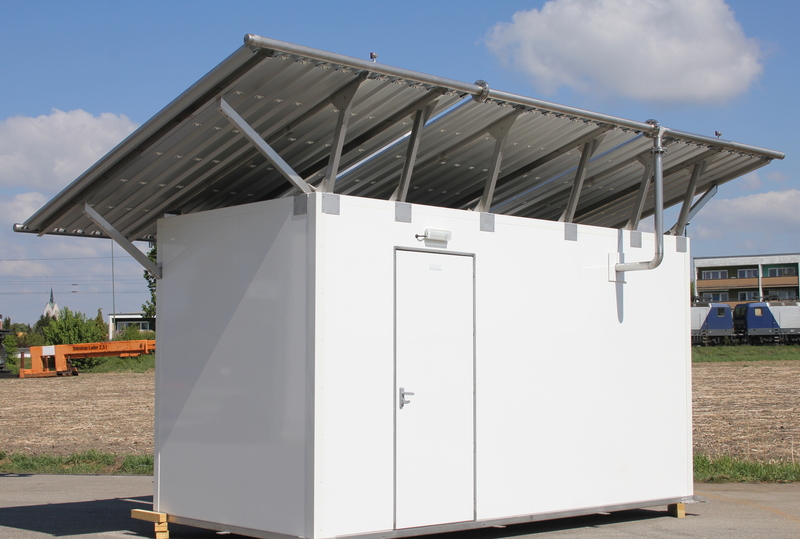 The shelter can greatly reduce the problems of installing equipment in remote locations, where reliable power is unavailable, and where dust and sand in the atmosphere can make it difficult to cool electronics equipment using conventional air conditioning systems. Another major element of the shelter's performance is its construction from GRP (glass reinforced polyester) panels employing a composite 'sandwich' construction to provide a very high degree of insulation, plus surface protection that can survive the extreme challenges of the Middle East environment - including very high levels of UV and dust and sand abrasion. GRP is an inherently inert material that is virtually immune to corrosion and atmospheric pollutants. It is also resistant to a wide range of petrochemical media. Intertec's shelter employs a highly efficient passive cooling system that exploits the energy storage capacity of water, which circulates by natural convection. This passive, unpowered system can be boosted by a small externally mounted electrical cooler driven by solar panels - to optimize performance on hot sunny days. Using this and other hybrid techniques, Intertec is able to provide passively-cooled shelter solutions that are able to operate in equatorial regions, as well as the arid climates in which they are widely used today. The high levels of insulation of Intertec's shelters can substantially reduce the total cooling power required compared with insulated steel shelters, and provide highly stable operating environments for sensitive equipment such as analyzers. Intertec's composite GRP sandwich panels include thick polyurethane insulation layers, which are bonded inside GRP sheets. This style of fabrication and assembly eliminates the 'thermal short cuts' between shelter interior and exterior that can result from the fixings that are often used with traditional insulated metal constructions. Such conductive points often account for the majority of thermal losses: around 75% or more of the shelter totals in many instances. Intertec's multi-function composite material also ensures that the internal walls are smooth and stable, making it simple to mount the equipment. 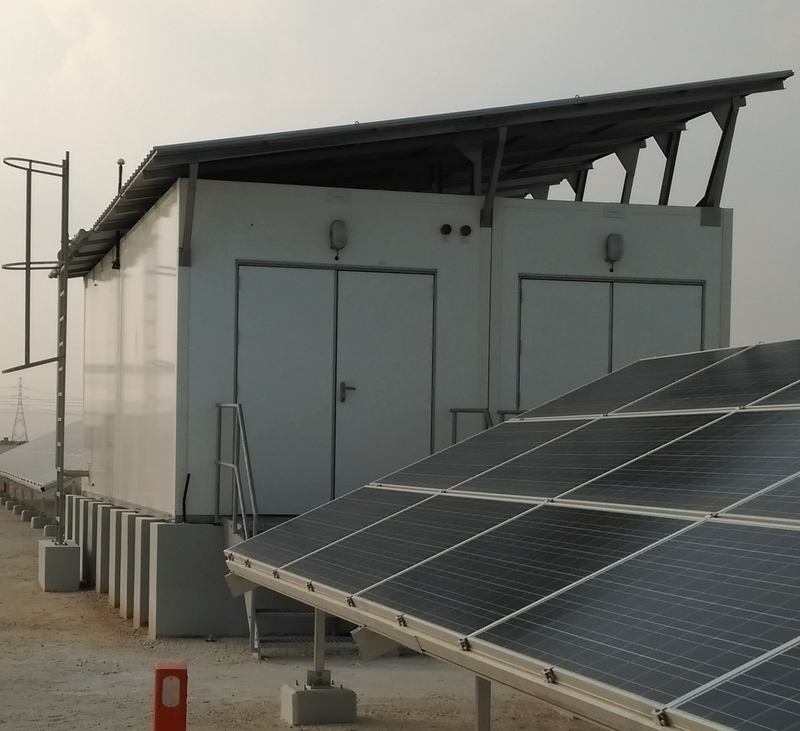 An Intertec passively-cooled shelter, installed in the Middle East. Passively-cooled shelters are widely used in the Middle East to protect instrumentation in remote locations.